In the first week of February 2016, in the context of two training courses, eleven seeders were built. The course members – wine growers from the Jura and Alsace, but also the Bordeaux region, the Diois and the Hérault, based themselves on a model designed by Antoine Pignier, from the estate of the same name at Montaigu (Jura). 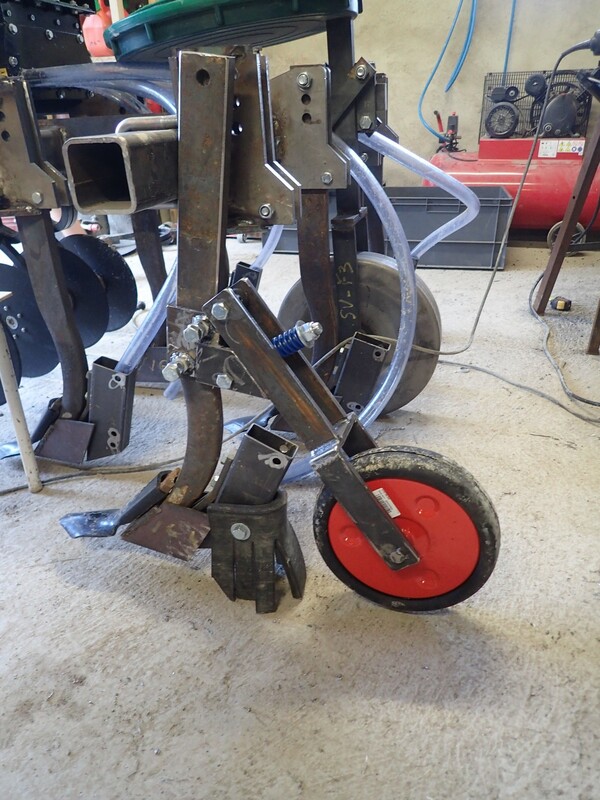 The intensive sharing of ideas that characterised these courses identified a need to put the finishing touches to the tool, consisting of the addition a device firming the soil behind the tynes, hence improving germination. 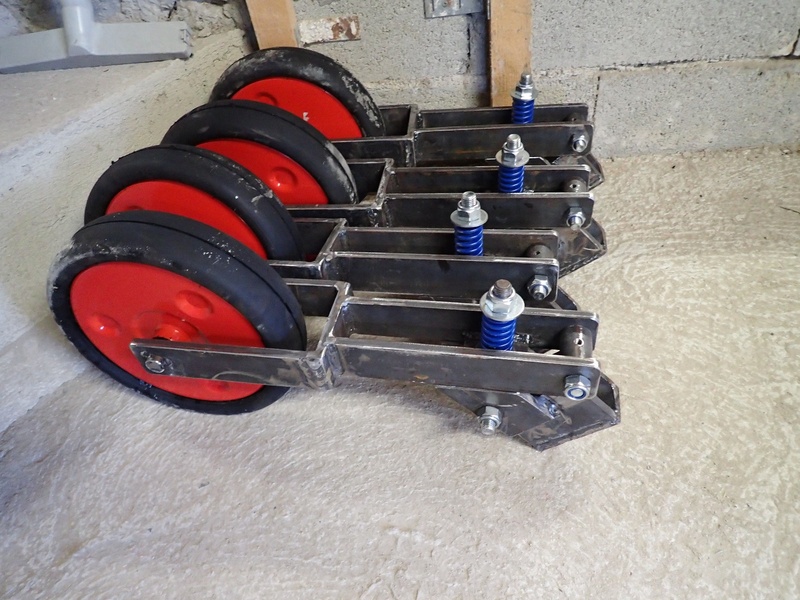 Following this, during the last day of training on 17 May at Montaigu, where all the course participants were gathered, the ‘firming wheels’ and the little quarry conveyor belt skirts were finally tested. Here are the plans for those who might be interested in these accessories, to be fitted behind any seeder, semi-direct or other. 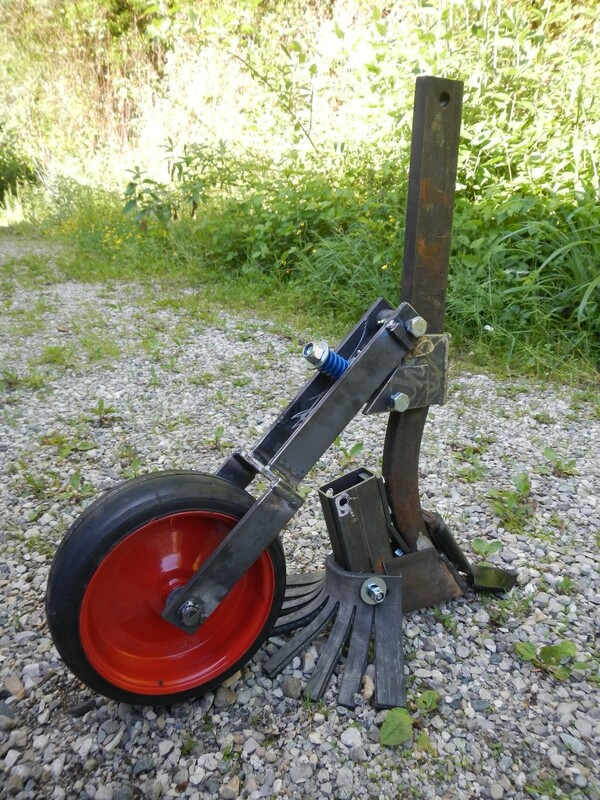 It’s the semi-pneumatic wheel which has the greatest impact on the price (45 Euros) of this operation, since the rest of the components are widely available and easy to install. In humid climatic conditions such as the Jura, the wheels did not confer any benefits, but the little skirts helped properly close the furrow, whatever the conditions. 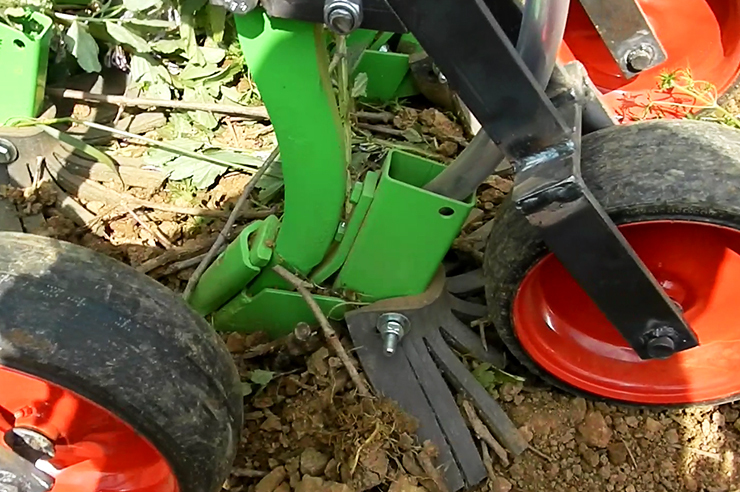 On the other hand, for vines in dry conditions, the closing wheels appeared to be essential in achieving good germination. They thus replaced the central gauging wheel which had been placed behind the seeder. 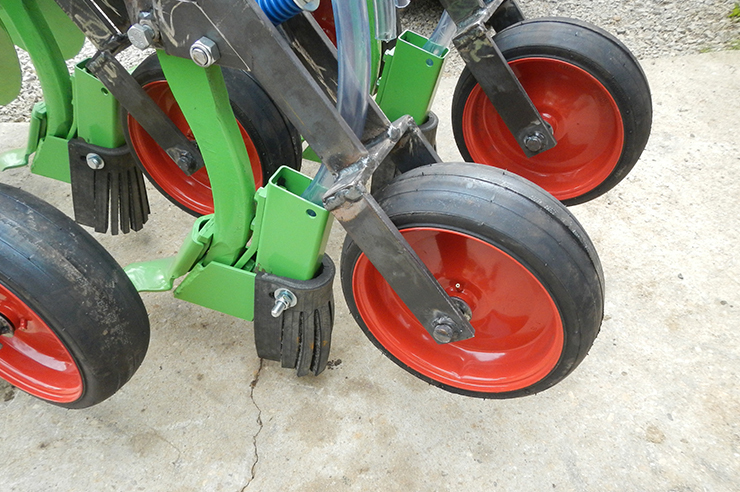 Narrower examples of this option were produced by Christophe Corbet to improve the movement of material between the different parts of the seeder. The support bracket of the wheel slides on the tyne and can be adjusted at will to determine the depth of the seeds, depending on the vegetal covering used. 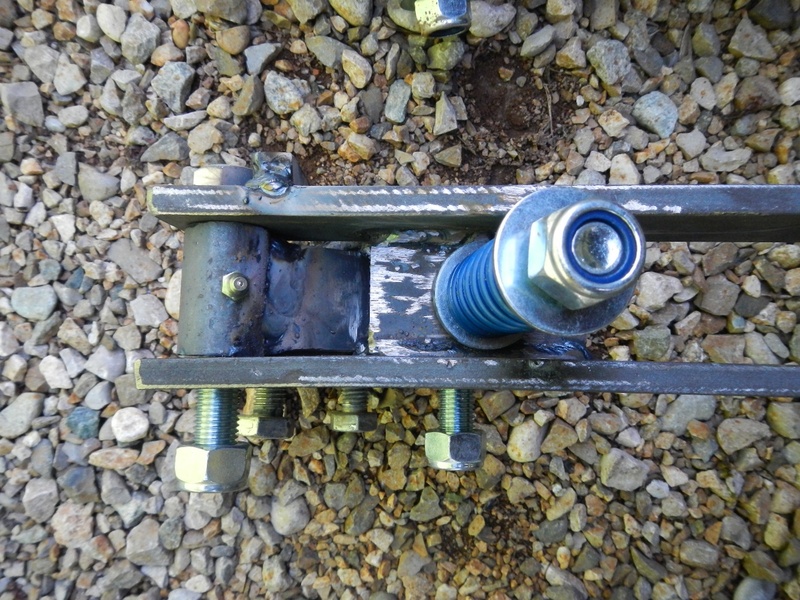 Two pressure bolts with locking nuts hold the unit in place. The pressure of the spring can be modified by tightening or untightening the adjustment screw. It is thus possible to adjust the operation of the wheel and the pressure it exerts on the soil. To ensure that all the tynes are working to the right depth, the adjustment of the third point is important. The little skirts and the wheels can be used on their own or combined to complement each other. You will find a drawing of these little skirts following the plans of the wheel, purely for information. In reality, the cutting out of the fringes in the quarry conveyor belt is left to individual initiative. At the end of the 17 May course, all the participants left with squares of conveyor belt, with the mission of testing various cut out shapes to find the best profile.  In September and October we will let you have their comments and suggestions. The rubber can be cut up readily using a band saw, but a good cutter or jig saw can also be used if it is on the fastest speed setting and is equipped with the appropriate blade (large teeth).